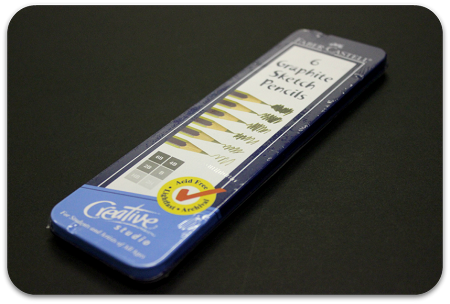 These acid-free, lightfast sketching pencils are made of finely ground graphite and clay for smooth, consistent lay-down. The patented SV bonding process ensures that the pencils have high break-resistance and last longer. The pencils included in this package have 6 degrees of lead hardness: 6B, 4B, 2B, B, HB & 2H. Great for students and artists. Pencils are stored in a tin case.